Just yesterday we showed you new X-Men: Days of Future Past trailer, and already today we‘d like to rejoice the fans of this franchise with another one interesting and informative video. Thus, a couple of hours ago the new X-Men: Days of Future Past trailer, which tells and shows more events of the upcoming movie, appeared in the network. In the beginning of this story video, we see our adorable Wolverine, who went in the 1980s with the only one goal to gather and to unite the future ennemies - good and evil mutants. But first of all he will have to persuade each X-man that he was really sent from the future by professor Xavier. Wolverine will have to work a lot, convincing the mutants, preventing the brushes between them, doing everything to reconcile them, because only he knows that in case of this mission’s fail, all X-Men will be killed by very scary and dangerous robots - the Sentinels. 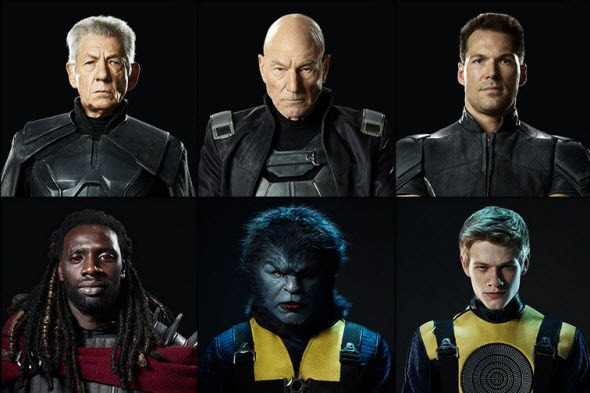 But besides showing the fast-moving events, the new X-Men: Days of Future Past trailer will allow you to look at almost all film’s heroes. You will be able to see many of them young and already old, to compare their super abilities in the different periods of life and just enjoy the spectacular action. We’d also like to remind you that X-Men: Days of Future Past film will appear in USA cinemas at the end of the next month. And are you going to the cinema to watch X-Men: Days of Future Past film? Did you like the fresh trailer? We will be glad to read your answers at the bottom of the page.